Fordham Club hosted its third annual Bronx Celebration Day on Saturday, April 6. Local non-profits, Bronx vendors, various performance groups and Fordham clubs all attended the event. The event brought together members of the local Bronx and Fordham community. 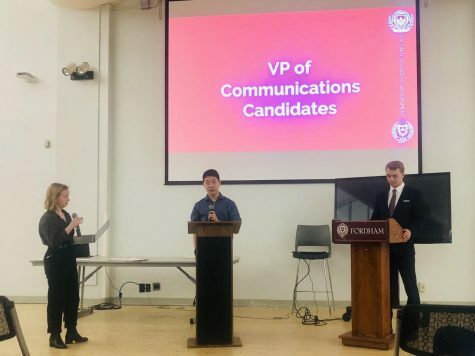 Fordham Club members, Neil Joyce, FCRH ’19, and Brian Daaleman, FCRH ’19, were part of the committee that planned the event. They said the planning started in the fall and they worked to invite different non-profits and vendors as well as coordinating with the office of the Chief Diversity Officer (CDO) to put together a music lineup. The event showcased performing groups from the community and Fordham. 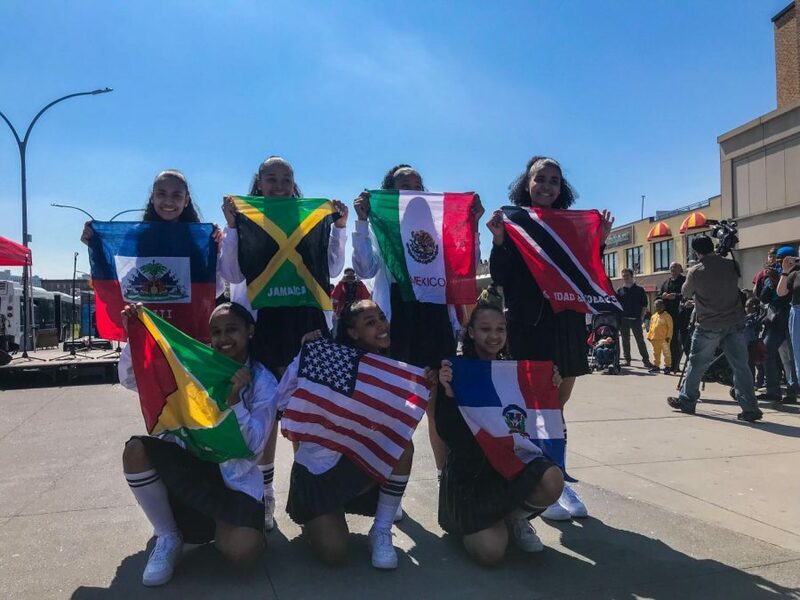 The lineup included Afro Puerto Rican Ensemble Cumbalaya, Fordham Satin Dolls, youth dance troupe UNITY, Fordham Hot Notes, Afro Dominican ensemble Palo En Cuera, poet and author Willie Perdomo and Mazarte a Mexican folkloric dance company. Fordham Club set up tables for various local vendors and non-profits. Grad student Melanie Silverman had a table to make hats with kids. Spes Nova, a non-profit that benefits impoverished people around the world, was showcasing their work, including accessories such as bracelets and necklaces. Bronx is Blooming is a non-profit that focuses on tree and environmental stewardship. It partners with youth and is full of active advocates for the Bronx parks. The organization partners with Fordham in the form of student volunteers and interns. Liberty Partnership Program is a college access and dropout prevention program. It provides college tours, afterschool programming and tutoring. It partners with the center for Community Engaged Learning and was invited to talk to the community and recruit people. Site administrator Jackeysi Benitez said the group has been at Fordham since 1989 and work with volunteers from Fordham. Other non-profits in attendance included Part of the Solution (POTS), Community Action for Safe Apartments (CASA), a project of new settlement apartments, NYC Council Participatory Budgeting and The Underground, a Bronx program that provides a space for musicians of all ages to perform their music. The U.S. Census Bureau 2020 was also at the event. Sarah Lynn, recruiting assistant for the Bronx, said she was there to offer employment opportunities and extend information to the community. Various Fordham organizations were also in attendance. Campus Activities Board (CAB) played games with kids, and there was a library book station set up. FCRH dean’s office and Fordham Club were also set up with activities. Student artist Caden Jones, FCRH ’19, was also invited to showcase her artwork. Daaleman said the event had really great attendance and weather. He said the main difference this year was that the event was held in Fordham Plaza. He said they wanted to make sure that it was more accessible for the community and that they could be more involved in the community. 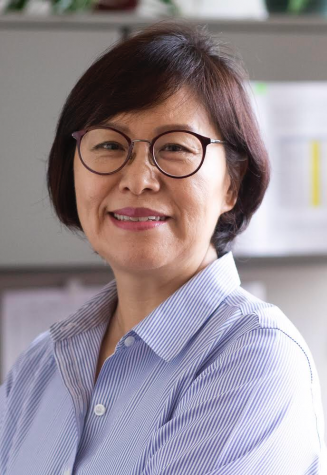 “It started initially and has continued to be basically an opportunity for Fordham students and members of the Fordham community to have an opportunity to celebrate the Bronx as a borough and its history and culture,” said Joyce. Joyce said Fordham Club tried to be intentional about being engaged with the Bronx. He said Bronx Celebration Day is part of Fordham Club’s Bronx Engagement Committee, a subcommittee that focuses on bridging the gap between Fordham and the Bronx. “This event has always been a great success but going forward, we as a committee would like to be more intentional about engaging with the Bronx more than just one day a year,” he said. 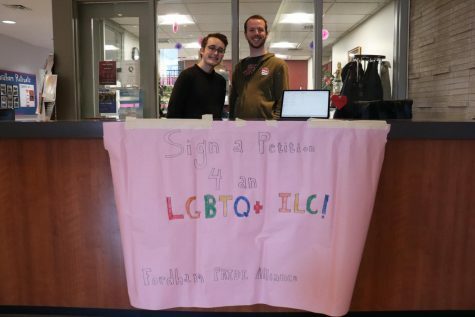 Joyce said they would like to bring vendors on campus or host more events to make a more sustainable and stronger partnership between the community and Fordham. Daaleman said many Fordham administrators attended the event on Saturday and that he hopes they could see the potential events like Bronx Celebration Day have. Joyce said he hopes Fordham students had the chance to interact face to face with members of the community and that Bronx community members were able to do the same. He said he hopes they see Fordham students as respectful, responsible members of their community. “Hopefully they [Fordham students] saw a little bit more of the culture and history of the Bronx and the different social and ethnic groups that make this borough a real melting pot,” he said. 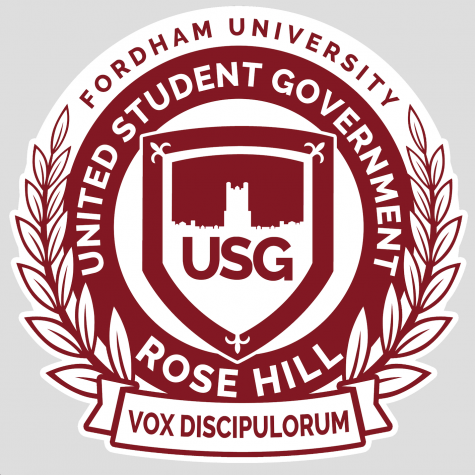 Chief Diversity Officer Rafael Zapata said the event was a huge success and the student organizers of the Fordham Club, and student volunteers from the Center for Community Engaged Learning and other offices deserve the bulk of the credit. “I hope that Fordham University sees itself as intimately connected to, and invested in, the communities and residents of the Bronx; that we strive to be present and engaged in meaningful ways, and that we recognize and affirm the beauty, depth, and creativity that has always characterized this unique borough that we call home,” said Zapata. Joyce and Daaleman said they are very grateful for everyone that had a hand in the event. They specifically wanted to thank Fordham Club, Dean Mast and all of the Fordham College at Rose Hill dean’s office staff, Jessica Gordon and the Fordham Road Business Improvement District, The Office of the Chief Diversity Officer, The Fordham Commuting Students Association, Fordham University Marketing and Communications, Fordham Modern Languages Department and United Student Government.